Oven Repair in Seattle, WA. Seattle Appliance Repair is the leading oven repair company in the entire Seattle area. Our Seattle oven repair starts with prompt response to your call for service. Call us or use the convenient contact form, and we’ll get there quickly to determine the cause of your oven problem and get it fixed. Our business is growing through word of mouth as satisfied customers recommend us to their friends. 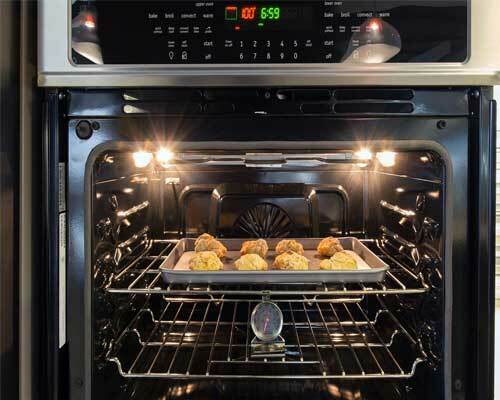 When you call us for oven repair in Seattle, Federal Way, Everett, Bellevue, Kirkland, Edmonds, Redmond, Renton, SeaTac, Mercer Island and other local cities, you’ll enjoy a prompt response, a written estimate of all work and a written warranty from us. Our trucks are fully stocked, so your Seattle oven repair can be made the same day in most cases. Our professional repair technicians are fully trained and certified, and each one has many years of experience. Their goal is to get the work done properly the first time, and our high success rate has led to our high customer service ratings. Night and weekend appointments are available for Seattle oven repair! We’re first in Seattle oven repair, but we repair all major appliances and all brands including GE, Maytag, Whirlpool, Kenmore, Jenn-Air, KitchenAid, LG, Samsung, Viking, Asko, Sub-Zero, Wolf and more. The appliances we repair include refrigerators, dishwashers, stove, ranges, cooktops, ovens, compactors, garbage disposers, clothes washers, clothes dryers, furnaces and more. Call Today for Seattle Oven Repair…We’ll Take Care of It! It only takes one call or contact, and we’ll make your oven repair in Seattle or surrounding city our top priority! Make Seattle Appliance Repair your choice for all your appliance repair needs, and you’ll enjoy top customer service, great prices and very prompt service!